God’s Bread Basket is an organization that has created a meal service program to feed the hungry in our community several evenings each week. This program, called “Dinner’s On Us”, is currently run out our kitchen. 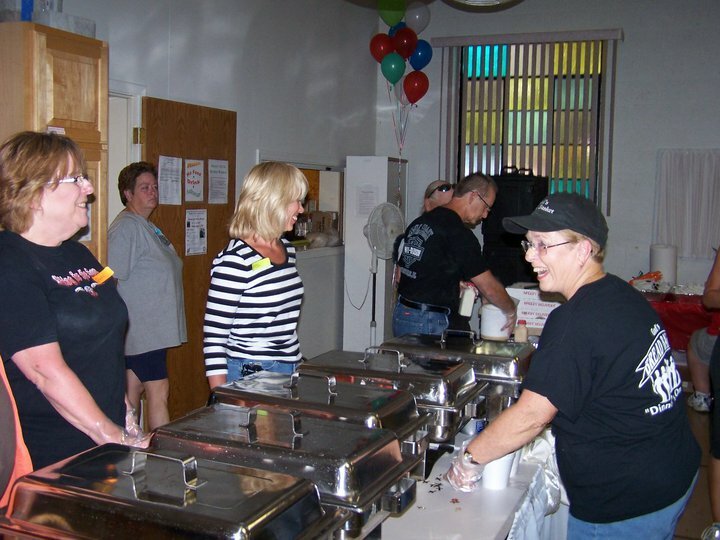 Through our hundreds of volunteers and in forming a variety of partnerships, we have been able to serve meals on Tuesday, Wednesday, Thursday and Friday nights since July 2009 and have put food into the bellies of hungry people, serving thousands of meals thus far! Serving free dinners on Tuesday, Wednesday, Thursday and Friday nights from 6 – 7 PM. The meal is open to all (no age or income requirements). Please come take a seat at the table and Dinner’s On Us!